Spacious ranch home in the desirable Vista Highlands community boasting tons of walking/biking trails! No expense was spared in every customized detail from the gleaming hardwood floors that carry you through the main living areas of the home to the stunning granite and tile finishes. This layout was truly designed with every lifestyle ease at mind featuring a formal den and study nook along with open style concept; great room nicely tying the kitchen, living, and dining areas together making this space perfect for entertaining. The kitchen is remarkable showcasing granite and custom tile finishes, huge center island with bar seating and separate breakfast bar, high-end stainless appliance, the list goes on with this showstopper. Vast master suite with private 5-piece bath and sizable secondary bed with private en-suite bath located on the main. The fully finished basement offers room to grow. 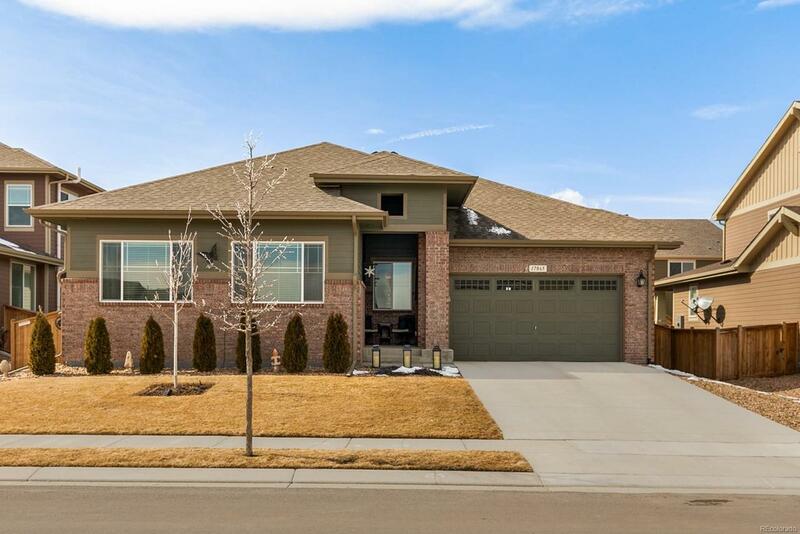 Situated just minutes from Hwy 7 and I-25 making a commute to Denver or Boulder a breeze.